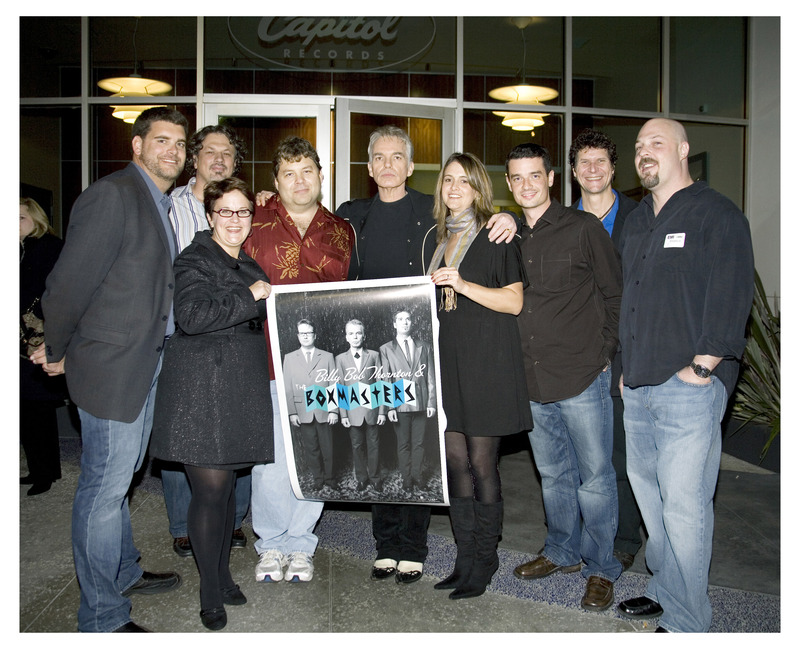 Pictured L-R: Bryan Bradley - Guitar Center, Susan Kittleson - Dell, Jay Pinkert - Dell, Kurt Kirsch - Dell, Billy Bob Thornton, Kristen Nolte - Dell, Michael Lambert - Dell, Alan Luecke - Dell, Michael Pantzer – Dell. Photo by Myriam Santos-Kayda. 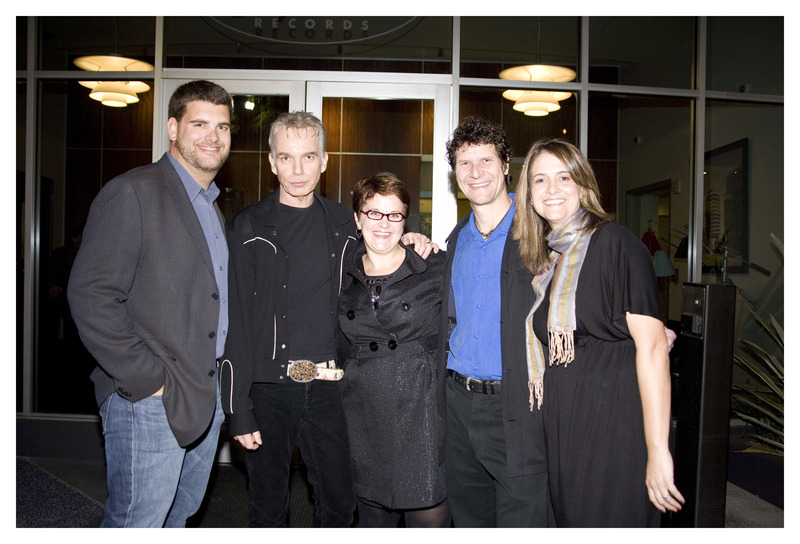 Pictured L-R: Bryan Bradley - Guitar Center, Billy Bob Thornton, Susan Kittleson - Dell, Alan Luecke - Dell, Kristen Nolte – Dell. Photo by Myriam Santos-Kayda. At a VIP party at Capitol Studios in Hollywood, Dell announced a partnership with Guitar Center and introduced Billy Bob Thornton as the public face of the Dell Lounge. Fans of Billy Bob Thornton can participate in his passion for music online at the Dell Lounge – www.delllounge.com. For the next year, Dell Lounge online visitors can accompany Billy Bob on a multi-media journey as he records and produces his own music in a home studio powered by Dell. The Dell Lounge is an interactive, experiential Web site offering exclusive content for a range of online communities, including music, gaming and entertainment. Billy Bob Thornton has written, recorded and played music since learning drums at age 9. The most recent of his four solo albums, Beautiful Door, is currently in stores. Among his achievements is a performance on the GRAMMY® -winning album The Wind by Warren Zevon. He has also collaborated with artists such as Tim McGraw, Earl Scruggs, and Styx, as well as contributing vocals to the recently released June Carter Cash tribute album, Anchored in Love: A Tribute to June Carter Cash. The year-long gig at the Dell Lounge was celebrated Tuesday evening, November 13, 2007, at a private event in Los Angeles marking the availability of Dell desktop and notebook products through Guitar Center. From avid amateurs to platinum-selling professionals, Guitar Center can now match Dell systems with music editing software and interface hardware in a comprehensive, one-stop solution designed to be simple to set up and use for anyone passionate about making music. Guitar Center initially will be offering Dell™ Inspiron™ 1521 notebooks and Inspiron 531 desktops.